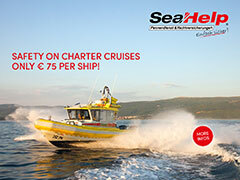 Please contact us for your personal offer with the full equipmentlist of this boat. We look forward to assist you in planning a great holiday. NEW bookable with us Moorings 4500 – Bareboat Charter in British Virgin Islands for max. 6 persons. Set sails in 2019 with this amazing boat, confirm now your preferred week! NEW bookable with us Moorings 4500 – Bareboat Charter in Croatia for max. 6 persons. Set sails in 2019 with this amazing boat, confirm now your preferred week! NEW in Charter Dufour 48 catamaran – Bareboat Charter in Croatia for max. 12 persons. Set sails in 2019 with this amazing boat, confirm now your preferred week!